Unlike English, verbs in Chinese are not inflected. They are never affected by things such as time or person. This makes memorizing “conjugation tables” unnecessary. However, word order is very important in Chinese sentences. Word order is often the only indication in Chinese to tell who is doing what to whom. Word order can also vary between the two languages, especially with questions. In Chinese, the basic syntax of a question is the same as that of a statement (read this), whereas in English it usually is not. The sentence structure of Chinese is very similar to English. 2. He went to England. As mentioned earlier, verbs are not inflected in Chinese. There is no past tense, future tense, singular form and plural form in Chinese. As the example above, we have the verb ‘drink’, but there is no such thing as drinks, drunk, drank, am drinking, will drink, etc in Chinese. She ‘go’ England last year. I ‘go’ (have been to) England before. Instead of conjugating a verb, adverbs (such as tomorrow, right now) and particles are used in Chinese to denote what English does with different verb tenses. 1. He will go to England tomorrow. 2. He went to England last year. 3. He has been to England before. Personally, I think Chinese grammar is much simpler if compared to English. There is always a fixed and single form in each word, regardless of time, number, person and etc of the subject. Due to the lack of inflectional morphology, Chinese grammar is mainly concerned with how words are arranged to form meaningful sentences. Happy learning and have a nice weekend. Hi Min Min. I am so happy to find your website as I need to brush up my Mandarin for examination purpose. I have finished SP1 – SP5 but I couldn’t proceed further. Can you please tell me how to proceed to SP6 – SP10? Hi! Thanks for posting this site it’s great! jiao = toe here, right? Or is it jiao zhi? If jiao zhi = toe (seems like this would be correct i.e. ‘foot finger’), why are ending the question with ‘le ma’? Can ‘shen ma’ be used instead? 脚趾 is a word with 2 characters which means toe, and the character 趾 normally is not used in alone. The word 了 is actually with “好了”, not with “了吗”. Hi! My name leakena. I’m from cambodia.i really want to know clearly chinese grammar structure. So please advice me. Thank you beforehead! I have written a few lessons about Chinese grammar. If you have any questions, please feel free to ask. I am always here to help. I love this website , it is my teacher. 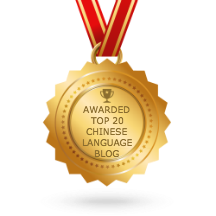 Thanks for visiting my website to learn Chinese. This is so helpful! Taking Chinese at school and was so lost! This has helped so much. Thank you. For, ” He has been to England before”, would it be in English, ” He has been to before England”. ? Do you mean the English sentence is incorrect? So there is no “has been to” in Chinese, it’s just replaced by go? In Chinese, we use aspect particles (着, 了, 过) and adverbs (已经) to indicate past tense, future tense etc. In order to mean “has been to”, we use verb “去” along with particles “过”. Does google translate really work? Google translation is not very accurate for long sentences. But you can use it as a dictionary for single and short words or phrase. What do you call the following sentence pattern? I don’t believe it’s the present nor the past nor the future. If your concern is about the time of the sentence pattern, I would say that it is past tense.